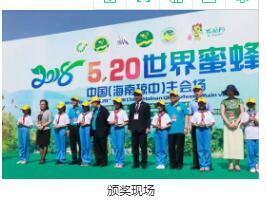 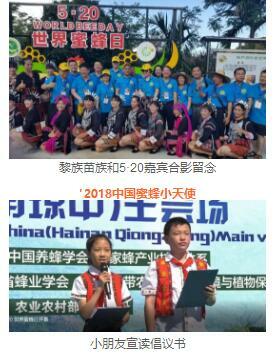 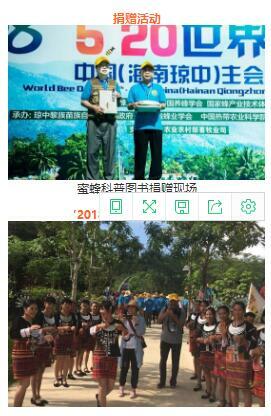 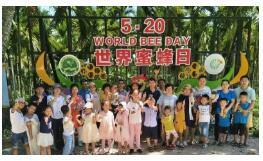 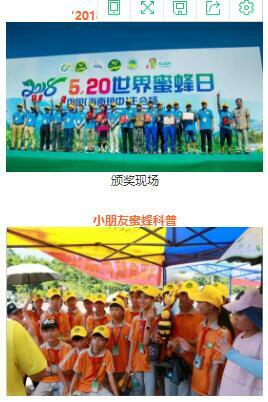 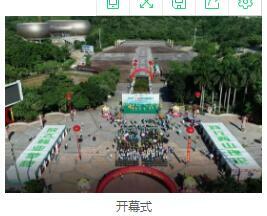 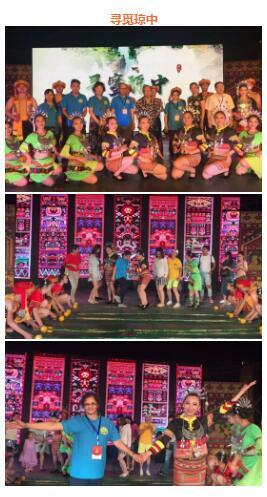 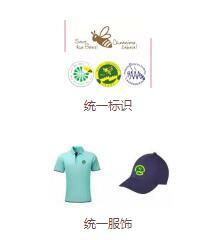 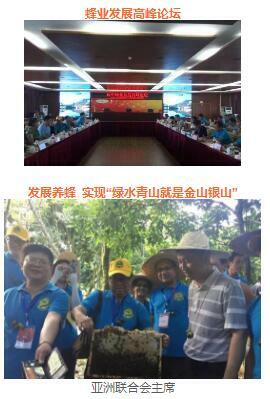 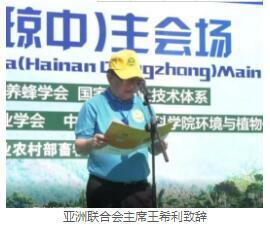 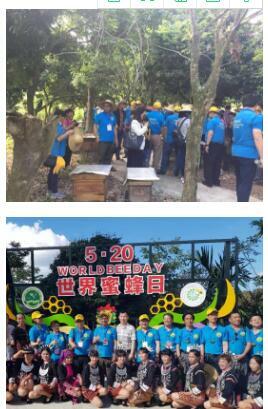 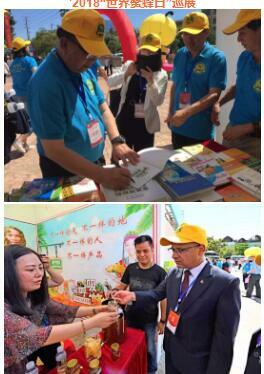 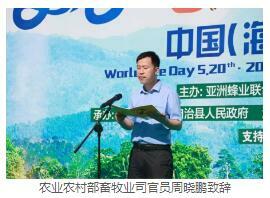 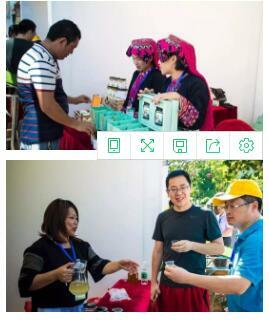 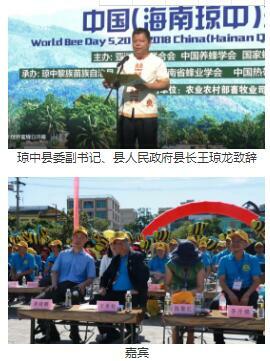 On May 20th , the 2nd Chinese ‘May 20th World Bee Day’ celebration activities were held at the beautiful Qiongzhong, Hainan (the main venue) by Asian Apicultural Association(AAA), Apicultural Science Association of China(ASAC), National Apicultural Technology System; organised by the People's Government in the Li and Miao Autonomous Counties of Qiongzhong, Apicultural Science Association of Hainan, Institute of Environment and Plant Protection in Chinese Academy of Tropical Agricultural Sciences; and supported by the Ministry of Agriculture and Rural Affairs(MOA) of the People's Republic of China, the Department of Agriculture, the Department of Commerce, and the Department of Science and Technology of Hainan Province. 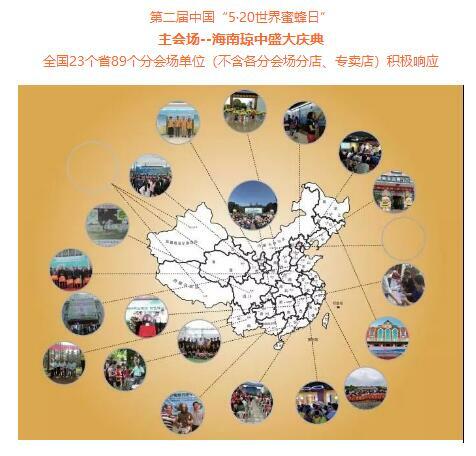 89 branch venues in 23 provinces across the country joint the celebration. 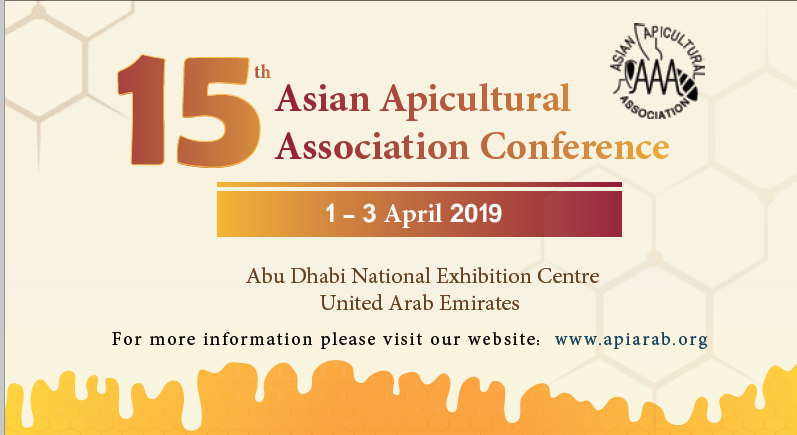 Siriwat Wongsiri, Chairman of AAA, Harishchandra Guimil, Nepal Ambassador to China, Zhou Xiaopeng, officer from the department of animal husbandry of MOA, Wu Jie, Chairman of ASAC and Chief Scientist of the National Apicultural Technology System, Chen Lihong, Secretary General of AAA, Deputy Chairman and Secretary-General of ASAC presented at the opening ceremony. 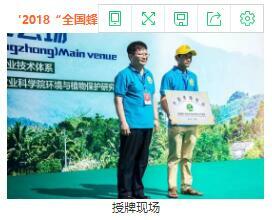 Wang Qionglong, Deputy Secretary of Qiongzhong County Committee and Chief of the People's Government of Qiongzhong attended. 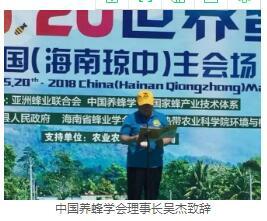 Participants also included Xue Yunbo, Yan Xiaoqing, Yu Linsheng,Vice Chairmen of ASAC, Wei Xiaoping, Deputy Secretary General of ASAC, Zhou Bingfeng , Director of the Special Committee of ASAC, Gao Jinglin, President of Hainan Apicultural Association, Chen Changzhuo, Chairman of the Hainan Honeybee Industry Association, Beekeeping experts, scholars, students, citizens, and dozens of news media such as CCTV7, Peasant Daily, People’s Daily, China Animal Industry, Apiculture of China, and Global Daily Online. 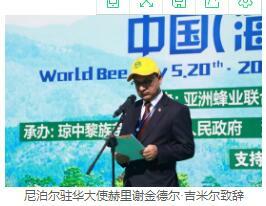 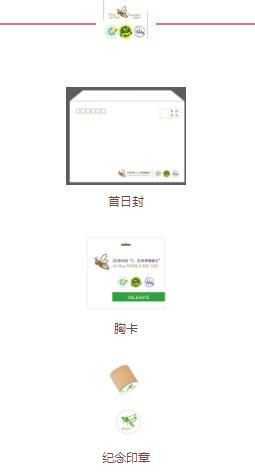 Zhou Xiaopeng said in his address that China’s ’World Bee Day’ theme activities mean a lot to advocating the protection of bee resources, mobilizing the strength of the whole society, attracting focus and supporting the development of the bee industry. 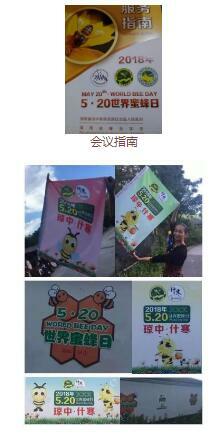 He indicated that ‘Small bee, Big industry’. 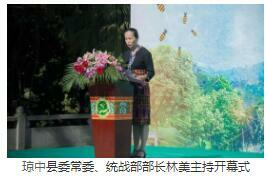 In recent years, MOA has done series of work on strengthening bee resources protection and apicultural development. 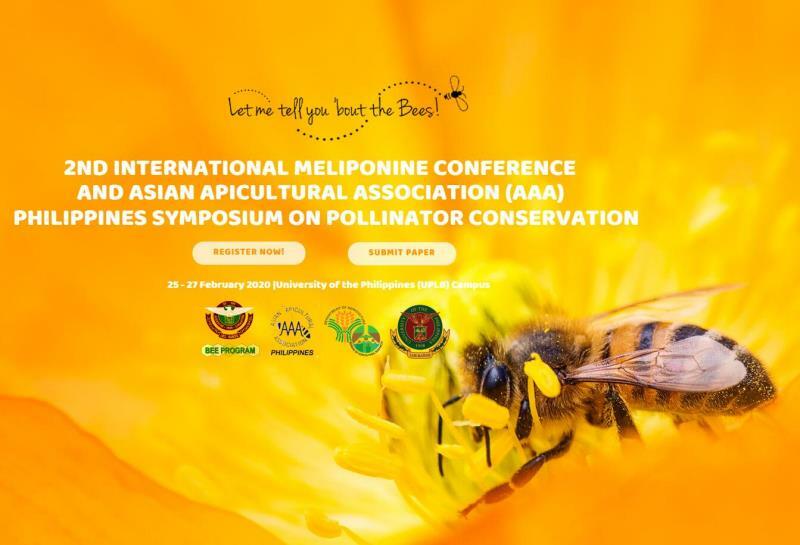 The first is to strengthen the guidance of beekeeping standards, the second is to improve the protection mechanism of bee resources, the third is to develope standardized scale of beekeeping and the fourth is to vigorously promote bee pollination. 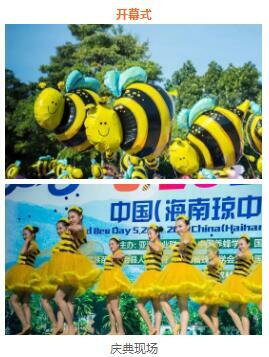 He also pointed out that bees are great and unselfish, and bring us sweetness and beauty. 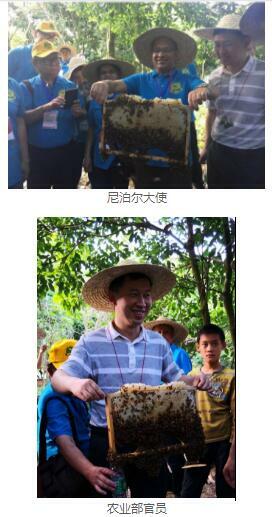 Meanwhile bees are small and weak, and need our love and careness. 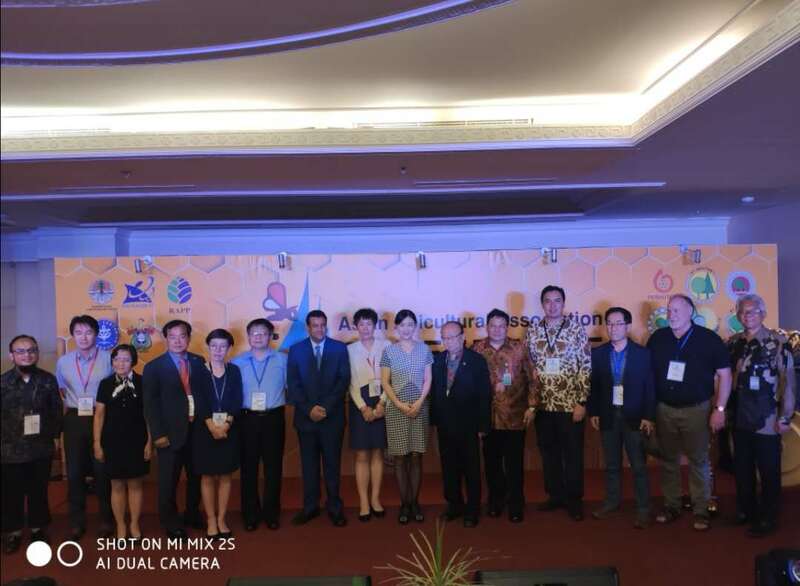 All colleagues in the industry should carry forward the spirit of bees, unite and cooperate, be diligent and dedicated, and forge ahead to make greater contributions to the protection of bee resources and the development of the bee industry! 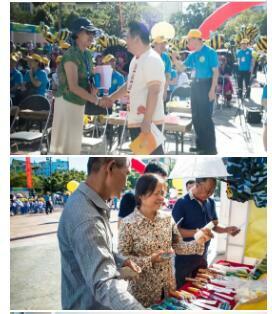 The activity themed on ‘Practice Two Mountains Theory, Release the Dream of Apiculture”, advocating concepts such as ‘Care for bees, protect the earth and human health’, ‘Bee, the best pollinator!’, ‘Developing beekeeping, practicing the theory of lucid waters and lush mountains are invaluable assets’, ‘One spoon of honey a day, keeps the doctor away’ and ‘Popularize bee culture, promote bee spirit’ and so on. 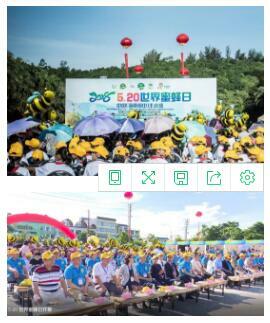 During the activities, beekeeping experts and scholars conducted in-depth discussion and researches on apicultural development, and held nearly 20 kinds of colorful bee-related activities with Qiongzhong characteristics, such as Apicultural development summit forums; onsite experience of developing apiculture and practising ‘lucid waters and lush mountains are invaluable assets’, Children reading out the initiative activities and issuing the certificate of Chinese Bee Angel 2018, 2018 World Bee Day Exhibition, honey culture popularization, targeted poverty-alleviation, inauguration of 2018 ASAC National Bee Product Safety and Standardized Production Base, Exhibition of bee culture and derivatives, visit to Shenhan Limiao bee culture village, onsite guidance of beekeeping technology, wisdom apiary training, donation of books, Seeking Qiongzhong and so on.